OIL Search’s proposed acquisition of a number of oil assets in the Alaska North Slope will complement the company’s existing world-class, high-returning Papua New Guinea gas portfolio, says the company. Last November, Oil Search announced the proposed acquisition of a 25.5 per cent interest in the Pikka Unit and adjacent acreage and 37.5 per cent in the Horseshoe Block, on the Alaska North Slope in the United States, for US$400 million (K1.26bil), with the option to double its interests by mid-2019 for an additional US$450 million (K1.42bil). Oil Search, in its 2017 fourth-quarter report, said that the acquisition was made on the basis that the Pikka Unit contains a discovered resource of 500 million barrels, compared to an estimate of 1.2 billion barrels by the existing JV partners. Oil Search will take over operatorship in the first quarter of this year and plans to undertake an active appraisal campaign ahead of a planned final investment decision in late 2019. The acquisition, which is expected to be completed within the next month, represents an entry into Tier 1 assets which have the potential to generate material growth with high returns and complements the company’s existing high-quality gas assets in PNG. 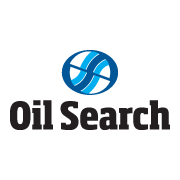 “Last November, Oil Search agreed to acquire a number of oil assets in the Alaska North Slope from privately-owned companies Armstrong Energy LLC and GMT Exploration Company LLC for US$400 million, subject to standard regulatory approvals, which are expected to be received shortly,” Oil Search managing director Peter Botten said.